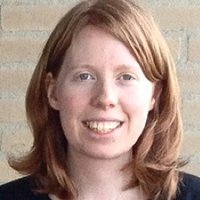 Claire Stocks is Assistant Professor for Classics at Radboud University, Nijmegen, the Netherlands. Her research interests include Augustan and post-Augustan epic, especially Flavian epic. She is the author of The Roman Hannibal: Remembering the Enemy in Silius Italicus’ Punica (Liverpool, 2014) and co-editor of Horace’s Epodes: Context, Intertexts, and Reception (Oxford, 2016). Claire Stocks is currently working on a new monograph on the representation of Jupiter in Flavian Poetry and Culture as well as a co-edited volume (together with Antony Augoustakis and Emma Buckley) on Fides in Flavian Literature.